I would like to thank you all for your continuing support. Last October, Prof. Hitoshi Chiba made the arrangements for the 57th Annual Meeting of the Japan Society of Clinical Chemistry held in Sapporo. The meeting was very rich in academic, technical, educational and social content organized by Prof. Chiba and was very well attended. I am sure that the participants were so satisfied with all of the contents. IFCC Congress was held in Athens last June. The standardization and harmonization of thyroid function testing produced significant results, and then the article for the harmonization of TSH and the standardization of FT4 was published in Clinical Chemistry. It is expected that the harmonization will be accelerating the progress worldwide. In Japan, we develop a huge progress in this field, cooperating with Japanese Society of Laboratory Medicine, Japan Thyroid Association, Japanese Committee for Clinical Laboratory Standards, and Japanese Association of Clinical Reagents Industries. Last year a project report about the proposal about IFCC reference method for standardization of ALP activity measurement was published in Rinsho-Kagaku (Japanese Journal of Clinical Chemistry). In order to shift from the JSCC recommended method to the IFCC reference method for standardization of ALP activity measurement, we will evaluate the enzyme reference material (JCCLS CRM-001, new lot), and call for public comment about this project to the related organizations and stakeholders. I would be very grateful for your cooperation. According to the amendment of Medical Care Law, quality control of the laboratory tests draw increasing attention. It is so happy and welcome for JSCC as well as clinical laboratorian that the discussion for quality control and assurance of laboratory testings is getting active. As you know, quality control is fundamental to clinical chemistry and laboratory medicine. Right now, we shall go back to the basis, strengthen the foundation, and proceed to the next step dramatically. Specifically, we have valued quality control for a long time. In this regard, we have already operated the qualification system of “Certified Clinical Chemistry /Immunochemistry Quality Assurance Medical Technologist” and “Certified Clinical Chemistry / Immunochemistry Quality Assurance Manager”. We hope that many professionals will be interested in these systems and take the certification. I have been the President of JSCC for three years, and am going on the 4th year A membership has been growing gradually. I would like to aim as followings: to activate JSCC and to develop committee activities; to contribute to global harmonization of clinical laboratory testings as a member of IFCC; to send and offer JSCC original information, methods, reagents and analyzers. The major events of this year are the general meeting of JSCC members (Tokyo) in June, the annual meeting (Prof. Junichi Ishii, Nagoya) in August, the regular meeting of each branch. Especially, I hope that many professionals in the field will register for the annual meeting and submit papers, and look forward to meeting you all in Nagoya. I would be very grateful for your continuing cooperation in these efforts. Clinical chemistry is an academic discipline that sees practical application in the clinical setting. In addition to forming the basis of services providing chemical analysis results for medical care in the daily clinical setting, it aids the elucidation of disease etiologies and pathologies and contributes to treatment and prevention. Thus, having various academic and practical aspects and including both analytical chemistry and clinical medicine, clinical chemistry is very wide ranging, and there is much interaction with other academic disciplines. Therefore, it does not only involve researchers in university and other research institutions but also those in various research laboratories such as those in hospitals and individual clinical departments, and industry research institutions. The Japan Society of Clinical Chemistry was established for the purpose of promoting advances in clinical chemistry and related areas. Giving full consideration to research in the various specialized areas that constitute clinical chemistry, we aim to achieve information sharing that will bring about further organic integration so that, together, we can make an even greater contribution to medical care and medical science. In this regard, we established the company membership system in fiscal 2006 to strengthen cooperation with industry. The members of the Japanese Society of Clinical Chemistry engage in close cooperation in order to achieve an understanding of each other’s specialist areas and exchange ideas covering a wide range of clinical chemistry aspects. We are also active in holding events such as annual scientific meetings, and issue an academic journal titled Clinical Chemistry. The Society also has various technical committees and project teams that are involved in multidisciplinary and specialized research. In addition, we have nine branches nationwide to promote activities at the local level. The Japan Society of Clinical Chemistry is a member of the International Federation of Clinical Chemistry and Laboratory Medicine (IFCC) and the Asia Pacific Federation of Clinical Biochemistry (APFCB). In addition, we continually engage in activities on an international level together with the International Union of Pure and Applied Chemistry - Clinical Chemistry Div (IUPAC - CCD) and the International Union of Biochemistry and Molecular Biology (IUBMB). In 2002, the 18th International Congress of Clinical Chemistry and Laboratory Medicine (ICCC) was held in Kyoto. 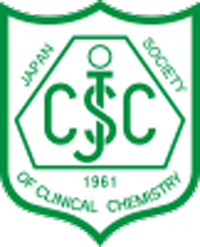 The Japan Society of Clinical Chemistry has a history of over 50 years, which began with the holding of the first "Medicinal Chemistry Symposium" in 1961. However, our history actually goes back a little further to the holding of the first "Clinical Chemistry Analysis Discourse Meeting" a voluntary meeting of a study group in Tokyo in 1957. This was expanded to become a nationwide activity through the holding of summer and winter seminars. The name of the academic meeting was changed from “Medical Chemistry Symposium” to “Clinical Chemistry Symposium” in 1971. This organization later joined forces with the “Japan Clinical Chemistry Study Group, which was established for the publication of our journal, titled "Clinical Chemistry". The Japan Society of Clinical Chemistry was formed though the merging of the “Clinical Chemistry Analysis Discourse Meeting”, “Clinical Chemistry Symposium” and “Japan Clinical Chemistry Study Group”, in 1981. Copyright (C) 2006-2018 Japan Society of Clinical Chemistry All Rights Reserved.